Well we are finally getting some sunny weather and the bees are becoming more active after a cool wet winter here in Perth. 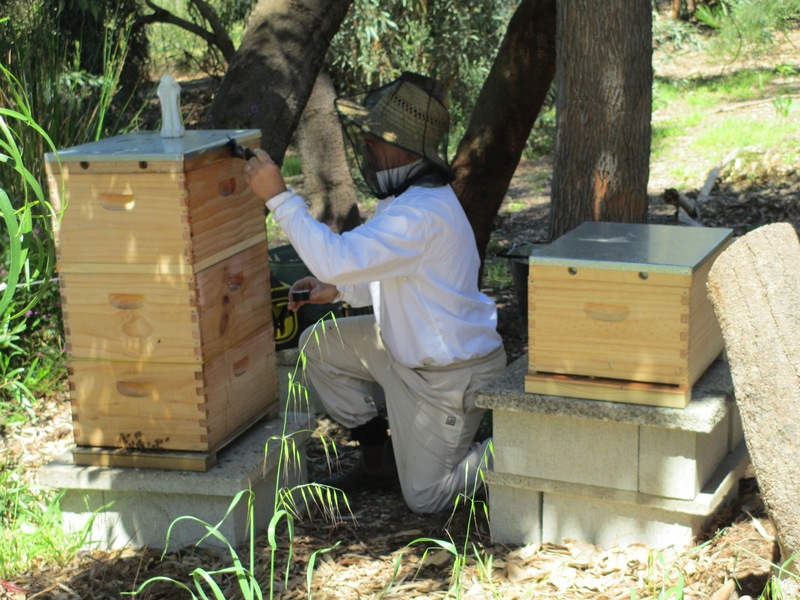 We recently purchased a second nuc which is installed in a new hive and seems very busy. 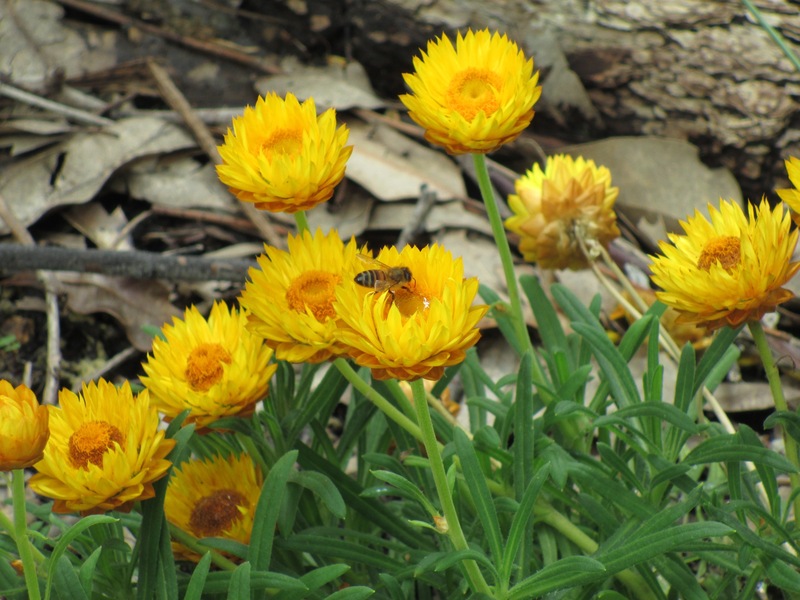 The bees are coming back to both hives laden with pollen, which they are busily harvesting from a variety of different flowers. On the weekend we opened up our original hive to find that the queen has either died or is not very effective. 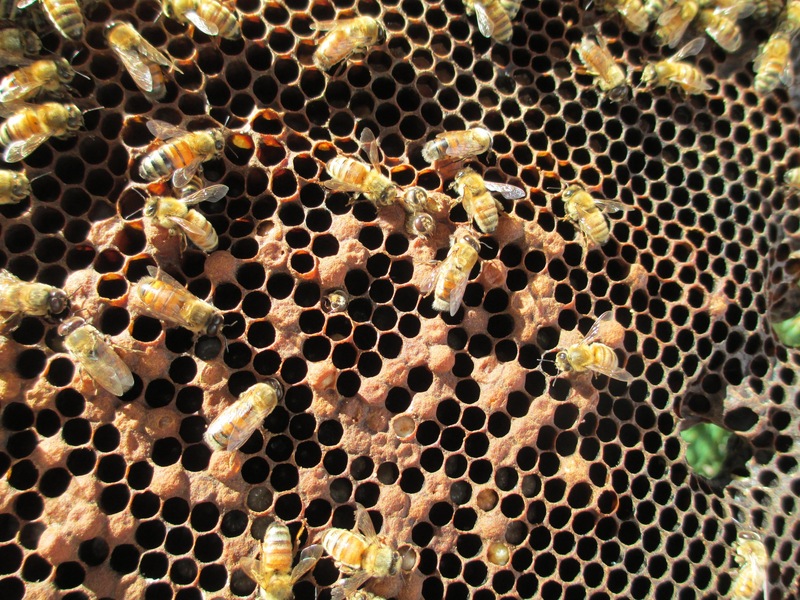 There is brood in the cells, but the random laying pattern shows that all is not well. There is also a weird peanut shaped wax extension which is an indication of a new queen being developed. 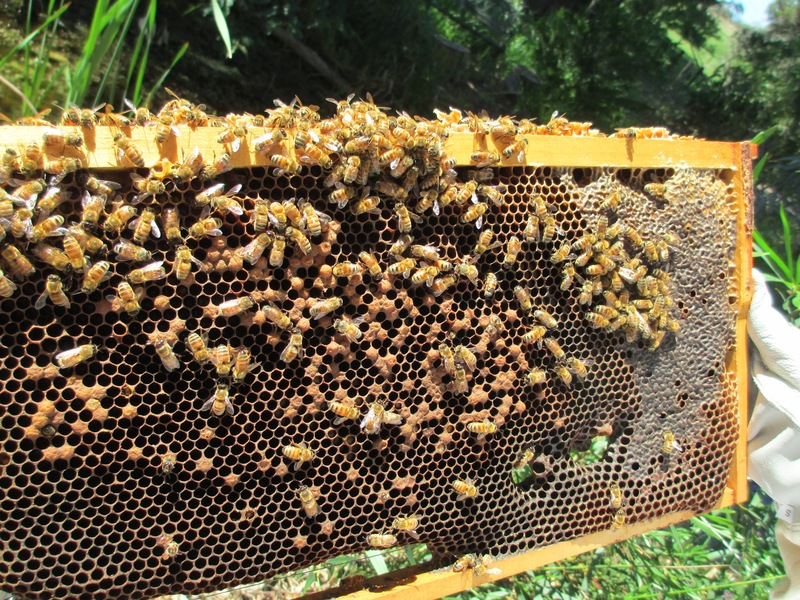 But….it appears the bees are sorting out the problem themselves so we closed up the hive again and left them too it! We used the opportunity to do some general maintenance like applying another coat of lanolin to the wood.